I had a great time spookin' out, Trick or Treatin' eating candy...drinking pumpkin beer and howling at the moon. This Season has been a rough one for me. We have had construction going on for months on my house preventing me from decorating outside and it sort of zapped all my decorating spirit. I had hoped to have a Halloween party on the 29th, but scaffolding everywhere...furniture moved around to let window guys work. It has been a rough few months. Tomorrow I'll post the pictures that I took tonight. We had a terrific time Trick or Treatin' with friends and romping around a great neighborhood. I hope everyone had a wonderful Halloween filled with all the sights, sounds and special things that makes Halloween "the greatest play day of the year". "Helping Haunters" was recorded specifically for this disc. Mark Harvey...Unreleased by Mark Harvey Tonight I'm making this tune available for FREE! One last treat from me to you this season. Download "Helping Haunters" now - here. 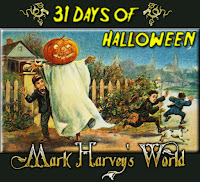 I hope you enjoy some of the FREE Halloween treats I've posted. 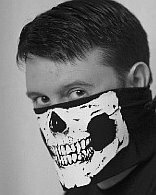 Remember to support independent artists (like me) by downloading or purchasing music - you can find my music for download here, here, here and here. 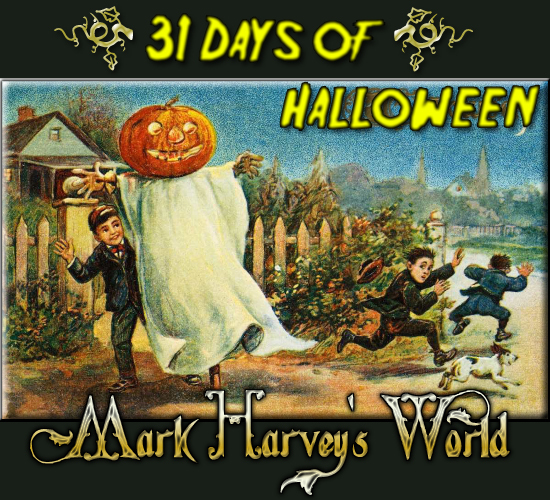 October 31st - It's Halloween!!! Well folks...we made it! Another FULL month of blogging and blog posts and tonight I'll be taking my kids out for trick or treating, seeing the sights, eating some candy and having fun. 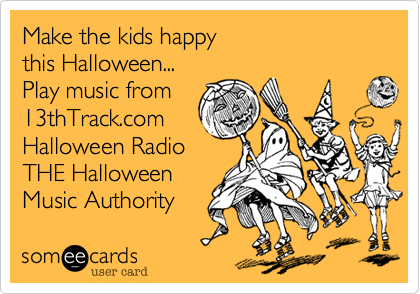 If you're not already aware of it, you can surf over to 13thTrack.com Halloween Radio and stream Halloween music for your party, for trick or treaters, to play in the dark or just to vibe out to. Surf on over! There are a few songs that resonate with me on Halloween night specifically. DARK RIDE by Rain Station Last up tonight is a FREE download of "It's Halloween" which is an unreleased song from Rain Station. Jay made a video for "It's Halloween" and you can watch it here. Have a listen to the song before you download it. Unreleased Rain Station by Rain Station Download "It's Halloween" here. OK, enough treats for now - go out and have a safe Halloween! This is the first of many posts today. I'll be serving up the treats all day long folks! 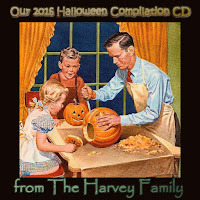 Hey...did you want a copy of my Halloween compilation CD? Drop me a note and let me know you downloaded it. Let me know what you think of the track listing and the new mopehead song "fallen".